If you're diabetic, the odds are pretty good that you were told that all you have to do to avoid the various complications of diabetes is to keep your blood sugar in balance. But is that really all you have to do? A new study says no. There's more to treating diabetes than simply controlling blood sugar. Researchers took a group of rats and they induced diabetes in half of them by giving them a drug that destroyed the islet cells in the pancreas that make insulin. Once the animals developed the diabetes, they gave them insulin infusions through a special pump to maintain control of their blood sugars. While all of this was going on, they measured their levels of oxidative stress, inflammation, and the ability of the animals to maintain normal sugar stores in the liver. The question the researchers had was, does maintaining normal blood sugar levels fully deal with all the problems that diabetics have? Here's what they found. Compared to the animals who were not diabetic, the diabetic animals had higher levels of inflammation, oxidative stress, an inability to store sugar in the liver, and, of course, very high blood sugars. This was completely expected. And when the blood sugars were stabilized with the insulin pumps, they had a decrease in their oxidative stress and a restoration of their ability to store sugar in the liver. But not everything returned to normal. Despite controlling their blood sugars, the researchers found that their levels of inflammation were not decreased at all. And although the levels of oxidative stress were decreased with sugar control, they were still too high. Simply controlling the blood sugar was just not enough to bring them into a healthy state. Here's how the authors of the study put it. "These results suggest that the onset of diabetes induces liver oxidative stress and inflammation, and that subcutaneous insulin administration cannot completely reverse these changes." So what's the lesson here? 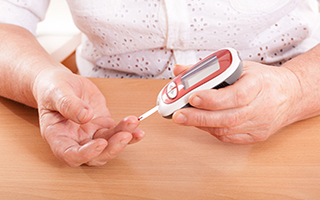 If you have diabetes, do everything you can to control your blood sugar. That includes learning how to eat correctly, regular and targeted exercise, hormone replacement, herbs, and medications. To get the full details, read my book The Type 2 Diabetes Breakthrough. But remember that that is still not enough. You also have to focus on reducing inflammation and oxidative stress. In the authors' words once again, "Targeting oxidative stress and/or inflammation in diabetic patients could be an interesting strategy to improve therapeutic options." Here's how you can do that. First, start off with the central nutritional plan that we should all be on – Super Immune QuickStart. 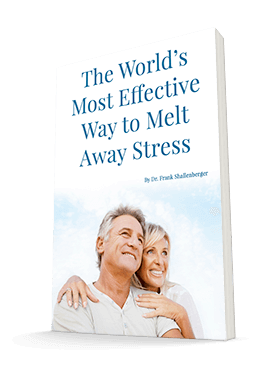 This is my very special formulation that I created more than 25 years ago to help your body reduce oxidative stress, detoxify, and improve your immunity. Then combine that with my Complete Daily Oils. Inflammation in the body is controlled by molecules called prostaglandins, and Complete Daily Oils is loaded with the oils that can reduce inflammation by altering the prostaglandin balance. And lastly, for that extra added punch to inflammation, Reduloxin can help. It contains nine safe, effective nutrients to fight inflammation and gives additional antioxidants. The point is not to rely totally on controlling your sugar. Keeping a lid on inflammation and oxidant stress is also important. S. Dal, N. Jeandidier, E. Seyfritz, W. Bietiger, C. Peronet, F. Moreau, M. Pinget, E. Maillard, S. Sigrist. Featured Article: Oxidative stress status and liver tissue defenses in diabetic rats during intensive subcutaneous insulin therapy. Experimental Biology and Medicine, 2015; 241 (2): 184 DOI: 10.1177/1535370215603837.